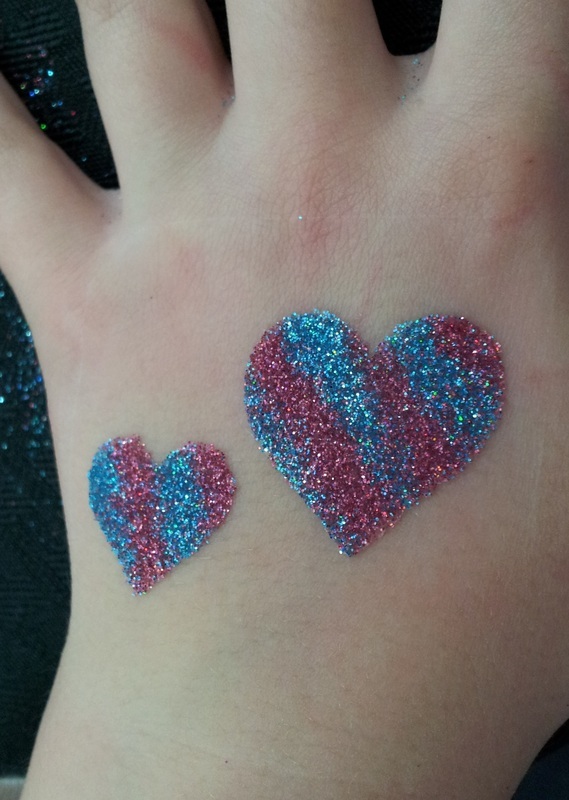 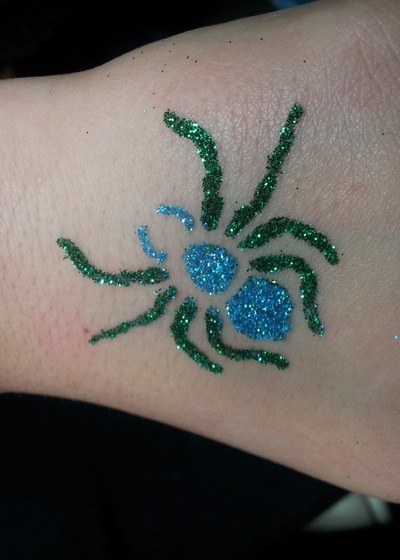 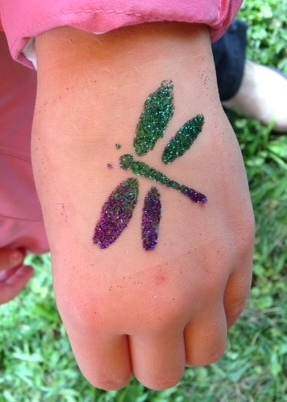 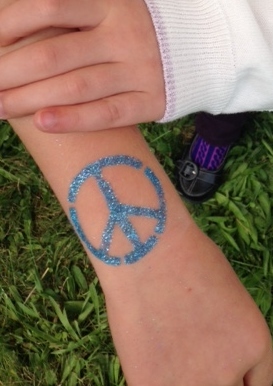 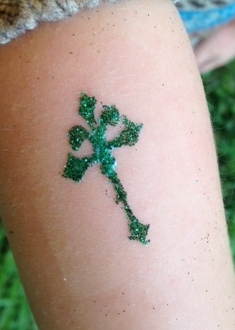 Glitter Tattoos - A hot new option for all ages! We tattoo with your safety in mind!! 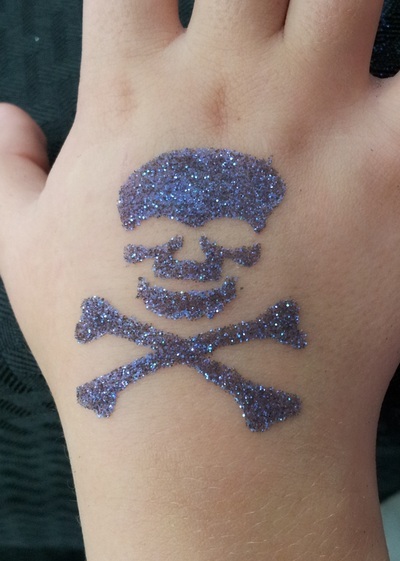 We use only COSMETIC GRADE glitter and glue, and SINGLE USE stencils. 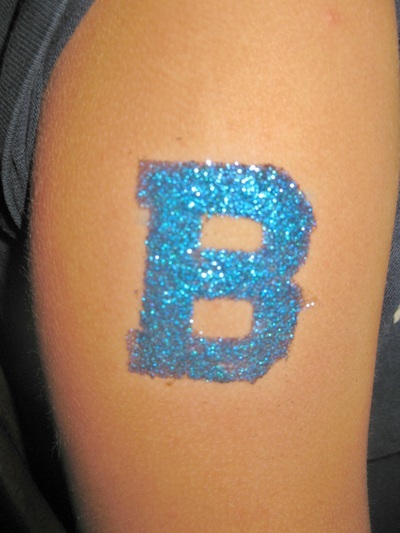 Glitter Tattoos are waterproof and last 3 - 5 days. 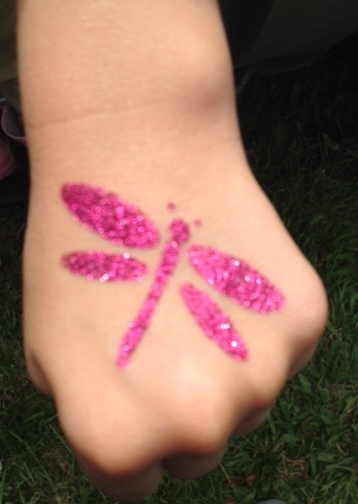 Be sure to pat them dry if they get wet - don't rub! Your tattoo will come off easily by applying lotion or alcohol.